In a teaser video posted to their website today, Rise Against revealed the title and release date of their highly anticipated seventh studio album. The band will release The Black Market on July 15 via Interscope Records. The album’s first single, “I Don’t Want To Be Here Anymore,” will be released on June 10. Watch the album trailer below, hear a clip of the new track and tell us what you think. 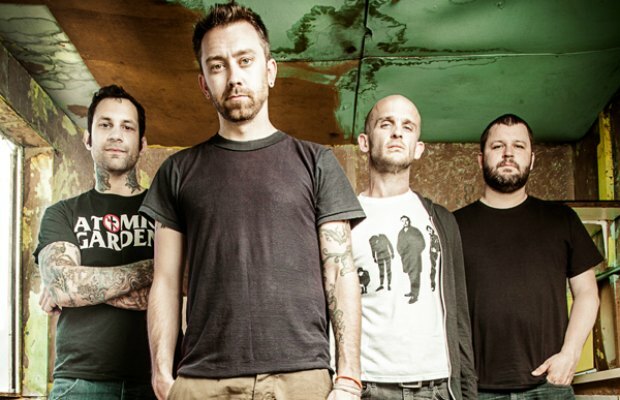 “Rise Against has always been a political band, but also a personal band,” says frontman Tim McIlrath. “We’ve always had songs that have a foot in both worlds. This album is a lot more introspective to me.” The Black Market will be the band’s first full-length since 2011’s Endgame. They will be playing the Toronto, Chicago and Denver dates of Riot Fest and were also recently announced for Aftershock 2014. Rise Against are nominated for the Philanthropic Award at the inaugural AP Music Awards for their part in Shirts For A Cure. Cast your vote now!